University of Michigan Press, 9780472052790, 256pp. In his new book, Christian Moraru argues that post-Cold War culture in general and, in particular, the literature, philosophy, and theory produced since 9/11 foreground an emergent “planetary” imaginary—a “planetarism”—binding in unprecedented ways the world’s peoples, traditions, and aesthetic practices. This imaginary, Moraru further contends, speaks to a world condition (“planetarity”) increasingly exhibited by human expression worldwide. Grappling with the symptoms of planetarity in the arts and the human sciences, the author insists, is a major challenge for today’s scholars—a challenge Reading for the Planet means to address. 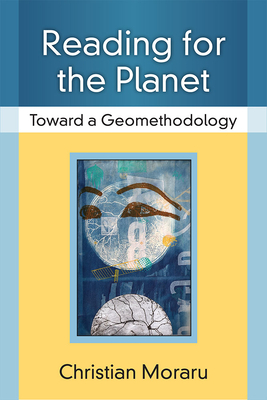 Thus, Moraru takes decisive steps toward a critical methodology—a “geomethodology”—for dealing with planetarism’s aesthetic and philosophical projections. Here, Moraru analyzes novels by Joseph O’Neill, Mircea Cartarescu, Sorj Chalandon, Zadie Smith, Orhan Pamuk, and Dai Sijie, among others, as demonstration of his paradigm. Christian Moraru is Professor of English at the University of North Carolina, Greensboro. His latest books include Rewriting: Postmodern Narrative and Cultural Critique in the Age of Cloning (2001), Memorious Discourse: Reprise and Representation in Postmodernism (2005), the edited collection Postcommunism, Postmodernism, and the Global Imagination (2009), and Cosmodernism: American Narrative, Late Globalization, and the New Cultural Imaginary (2010).